Inclusive business is good for business and good for development – this is the core belief of Business Call to Action, a multilateral alliance of global corporations, that Essilor has just joined with a commitment to expand access to vision care in developing countries. With three years of inclusive business deployment behind us, and over 2.5 million lives impacted through improved access to vision care, Essilor has now joined Business Call to Action (BCtA). The BCtA is a global initiative that aims to support private-sector companies’ efforts to fight poverty through their core business. It is supported by several international organizations and hosted by the United Nations Development Programme (UNDP). Through this membership we become part of a global network with more than 158 companies which are committed to improve the lives and livelihoods of millions by engaging low-income people as consumers, producers, suppliers, and distributors of goods and services. Essilor’s Vision Ambassador and Eye Mitra programs are two examples of how we intend to meet our commitment. Since 2013 these models, developed by our inclusive business arm 2.5 New Vision Generation, are helping to improve access to locally affordable vision care and create the next generation of Essilor customers. These programs also contribute to the creation of jobs and improvement of livelihoods by training local individuals to become vision entrepreneurs. Not only is this ecosystem generating employment and alleviating poverty, but it is building a sustainable vision care infrastructure in underserved areas. Creating sustainable business ecosystems in underserved areas is at the very heart of inclusive business. 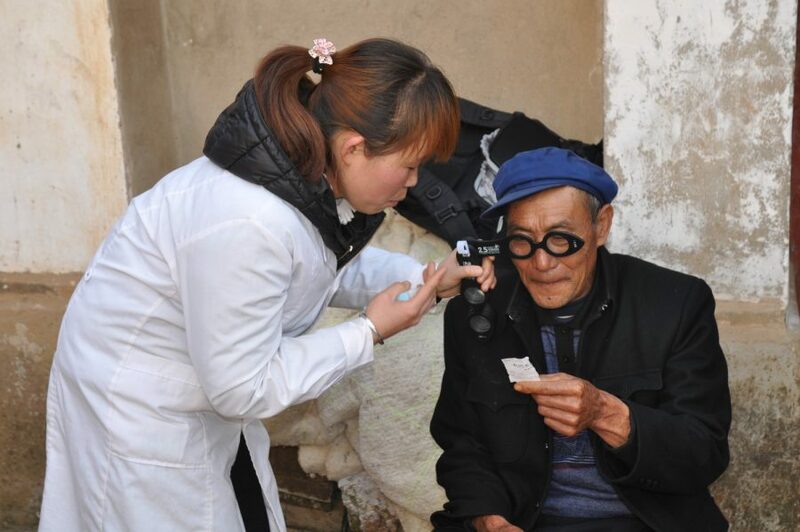 Essilor is doing just that by training local people as entrepreneurs and offering quality, low-cost eyewear that improves lives and livelihoods. Read the BCtA press release here.